Joseph Charles John Piscopo was born on 17 June 1951, in Passaic, New Jersey USA of Italian-American descent, and is a respected name for all those “Saturday Night Leave” (SNL) lovers around the world. A famous comedian and a Hollywood actor, Joe Piscopo is widely known by his stage name, Joe Piscopo. He is mostly noted for his part in SNL in the early 80s when he and his partner in comedy, Eddie Murphy dominated the Television world with their outstanding comedy sketches. Joe has been received with respect and love by his fans for his exceptional impersonation skills, as he has given impressions of many major celebrities in many comedy series including SNL. 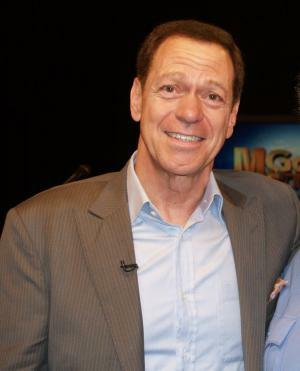 One of the most famous comedians of all time, how much is Joe Piscopo’s net worth? As of now, Joe has an estimated net worth of $3 million, accumulated during his almost 40 years in the entertainment industry. Joe was raised in North Caldwell where he attended West Essex High School. Interested in drama and comedy from his childhood, Piscopo graduated from Jones College in Florida with a degree in broadcast management. Being the son of a lawyer, everyone in his family wanted him to walk in his father’s footsteps, but he had other plans. Joe went on to try out his luck as a stand-up comedian, and initiated his professional career from the comedy series named “Madhouse Brigade” in 1978 and climbed to fame from SNL as we already know. Though not quite so commercially successful these days, he is still a celebrated personality in comedy world. The person who holds credit for maintaining and uplifting the popularity of Saturday Night Live (SNL) from 1980 to 1984, alongside Eddie Murphy, Joe couldn’t find the level of success he enjoyed from SNL after leaving the program. Nonetheless, Joe has starred in many Hollywood movies and television shows such as “Johnny Dangerously”, “Wise Guys”, “Dead Lenny”, “How Sweet It Is”, “Star Trek: The Next Generation” and many more. These endeavors indeed helped him to amass his net worth but could not top the fame and money he earned in his SNL days. On a recent note, Joe was seen as a participant in the television reality show, “Celebrity Wife Swap” where he traded lives with Barry Williams. Joe has been married twice in his life but neither of the relationships lasted. Joe and his first wife, Nancy Jones were married in 1973 and have a son together but they divorced in 1988, after which Joe married Kimberly Driscoll. His second marriage too ended in divorce in 2006 and Joe has been single ever since. Peeking more into the darker side of Joe’s personal life, he has been subjected to the allegation of child abuse but he has denied the subject repeatedly. For now, Joe lives happily with his decent net worth of $3 million which has been catering to all his daily needs. With his repeated appearances on TV and in movies and his own permanent radio show in New York, named “Piscopo In The Morning”, he has been holding onto his fame and name as a celebrity. 1 [on his relationship with Eddie Murphy] Eddie could keep a secret no matter what. He was the first person I went to when I was sick. 1 In January 2014, Joe became the Morning Drive radio host of "Joe in the Morning" on WNYM (AM 970 in New York City). 6 He was Inducted into the New Jersey Hall of Fame in 2013 for his services to arts and entertainment. 7 He graduated from West Essex High School in Caldwell, New Jersey in 1969. 8 Fan of the New Jersey Devils. 9 Is mentioned, along with Vanessa Redgrave and Eddie Murphy in the song Jammin' Me, by Tom Petty & The Heartbreakers. 10 Did some outrageous Miller Lite commercials in the 1980s. 11 His wife, Kimberly Driscoll, gave birth to their third child, daughter Olivia, on 29 November 2004. 12 He worked with Eddie Murphy on Saturday Night Live (1975). They became very good friends and Murphy even bought a home in his neighbourhood in 1982. They produced a short film for SNL about his street behaviour fitting in with the New Jersey suburbs. 13 Graduated from Jones College in Jacksonville, Florida. Attended West Essex High School in New Jersey and was a member of the drama club "The Masquers". 14 He has four children: Joey Piscopo, born in 1979 (with Nancy Jones); Alexandra, Michael and Olivia (with Kimberly Driscoll. 15 He sat out of show business briefly while he underwent treatment for thyroid cancer from 1981 to 1982. 16 He's the guy in the trench coat in Billy Joel's Keepin' The Faith music video.